Time Out Group is set to launch a market at a rooftop venue in New York with 20 food stalls, three bars, a stage and an exhibition space. The company made the announcement as it reported a 19% year on year rise in group revenue to £44.4m for 2017, in line with expectations. The group has signed a conditional lease agreement for the site located at 55 Water Street, Empire Stores in Brooklyn’s Dumbo neighbourhood. The market is due to open in the fourth quarter of 2018 and will take over 21,000 square feet over two floors of Empire Stores. The group will now need to secure license approval and building permits before going ahead with the market. The first Time Out Market launched in Lisbon, Portugal, in 2014. The group is now rolling this out to Miami towards the end of the year, and in Boston and Chicago in 2019. The markets bring together food and drink offerings that have been picked out by the Time Out editorial staff. There are plans for a London market but its planning application was rejected by Tower Hamlets Council last year. Julio Bruno, chief executive of Time Out Group, said: "New York has been home to Time Out since 1995, and millions of people – locals and visitors – use our website and read our magazine to make the most of the city. 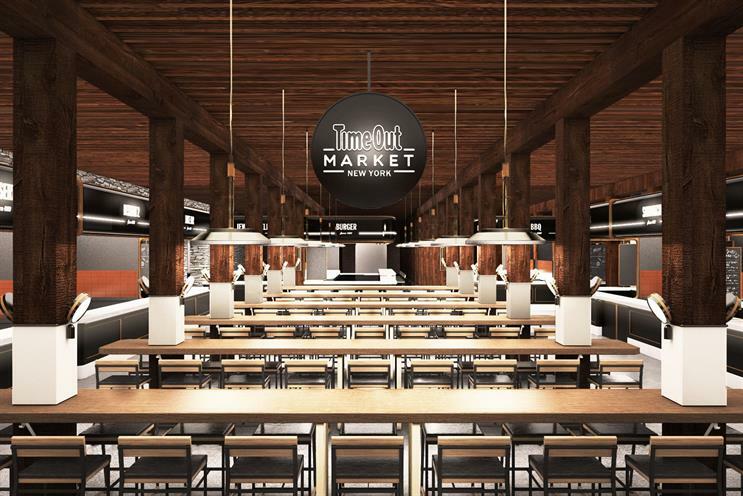 Now we have a breathtaking location for Time Out Market in New York. It will offer not only the city’s best food, drinks and culture, but also one of the city’s best views."